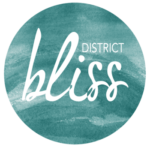 District Bliss loves to feature awesome local vendors in the wedding + event industry. We are not in the business of featuring a single wedding, styled shoot, or event; we are featuring your product, your company, or you! For example, if you are a wedding photographer, we are NOT looking for photographs from one wedding, event, engagement, styled shoot, etc. Send us your BEST stuff so we can select items to highlight what is unique about you and your business! What makes your business stand out? How are you unique?